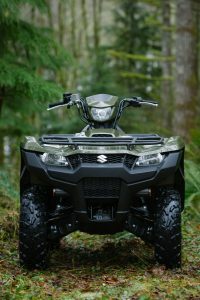 It’s not the 850 or 1000cc KingQuad that I was hoping Suzuki had up its sleeve, especially after not being very active in the ATV segment for the last decade. 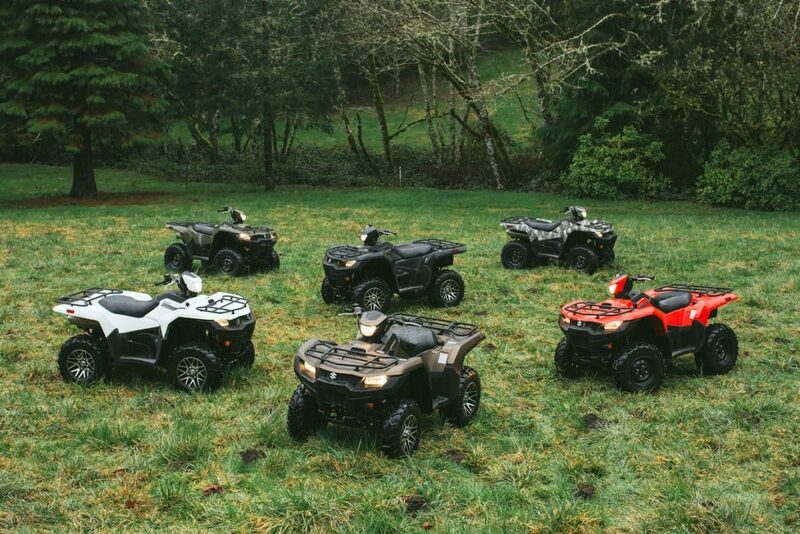 But, I will admit, I’ve always liked the KingQuad and I’m digging some of the changes that have been made. Before I thoroughly shake the machine down and prepare my review, below is a bullet list of the changes and details. 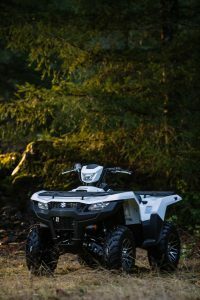 Suzuki will offer the KingQuad in three models a 400, 500 and 750. 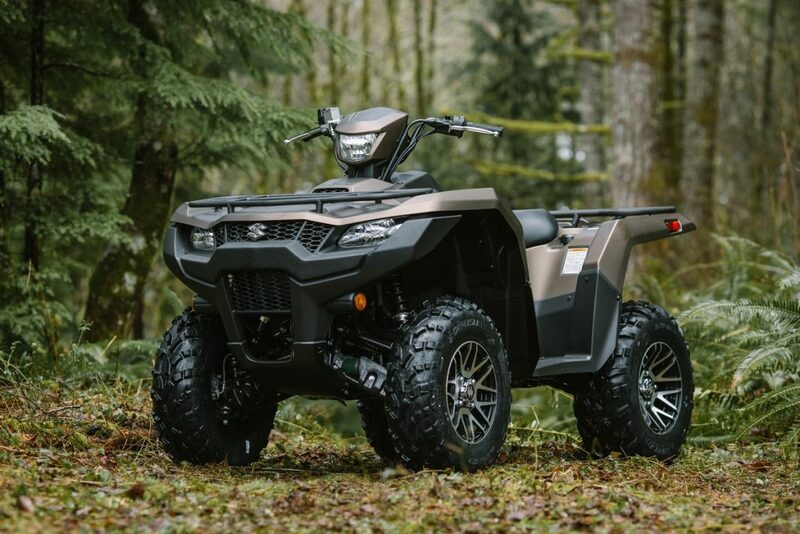 Be sure to click over to youtube.com/atvscene and subscribe to our channel so you’ll get notified as soon as the video review of the 2019 Suzuki KingQuad 750 goes live. supply the new piston oil jet system to increase engine durability. intake avoids water and debris. camshaft drive system creates a compact cylinder head. – The engine also features dual balancer shafts for smooth operation. engine starting in all conditions. (eligible for green sticker registration). controlled cooling fan provides stable engine operating temperature. with the throttle off and helps control vehicle speed during steep descents. confidence and comfort during downhill riding. plus light steering. A differential-lock system provides serious 4WD traction. can be used to override the normal speed limiter when stuck in the mud. 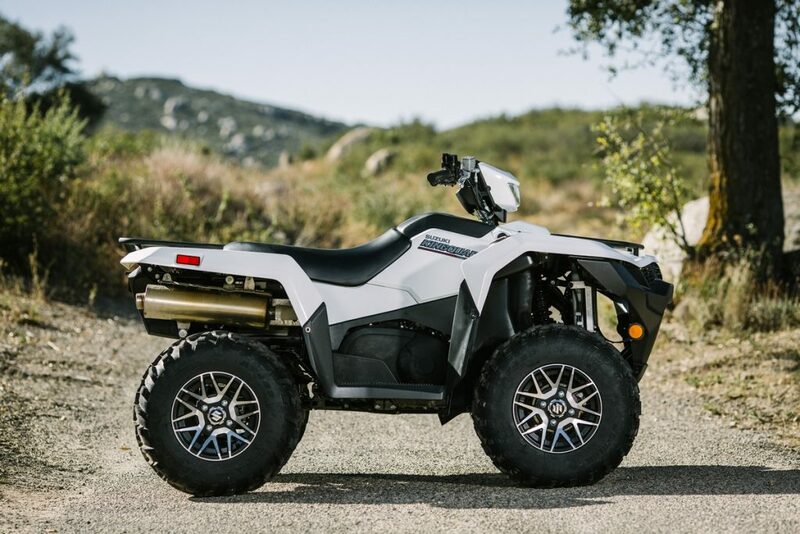 – To increase rider comfort, make the ATV easier to ride on any terrain and increase towing capacity, the KingQuad’s frame is new with thicker main tubes and redesigned brackets in key areas. – The steering characteristics are now tuned to an “under-steer” condition for reduced effort and tighter turning in tight conditions. This permits higher, more comfortable handlebars to be used. – The bold, new bodywork features high-clearance fenders that offer great protection for the rider from flying debris. Refined panels simplify maintenance needs, such as oil level checks, fuel and air filter service. – Independent double A-arm front suspension (6.7 inches of wheel travel) includes new large diameter, gas-charged shock absorbers with 5-way spring preload adjustment. travel includes new large diameter, gas-charged shock absorbers with 5-way spring preload adjustment. 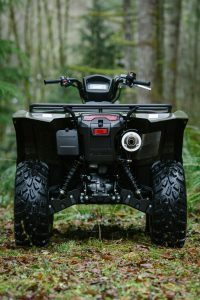 – A new, larger diameter rear stabilizer bar with more compliant bushings helps control body movement while reducing shocks to the rider. – The dual hydraulic front disc brakes have new brake pad material, fluid lines and lever ratio to optimize braking performance. – The sealed, multi-plate rear brake system features a new foot brake lever ratio for enhanced rider control. The rear brake’s clutch-type design provides high durability, reduced unsprung weight and low maintenance. – High traction 25-inch CARLISLE tires are mounted on strong steel wheels with a durable, powder-coated matte-black finish. – Suzuki’s plush T-shaped seat delivers rider mobility during spirited or difficult terrain riding. and rough terrain. Durable plastic guards protect the front and rear half shafts. A revised 2″ receiver is included and towing is increased from 900 to 1030lbs. 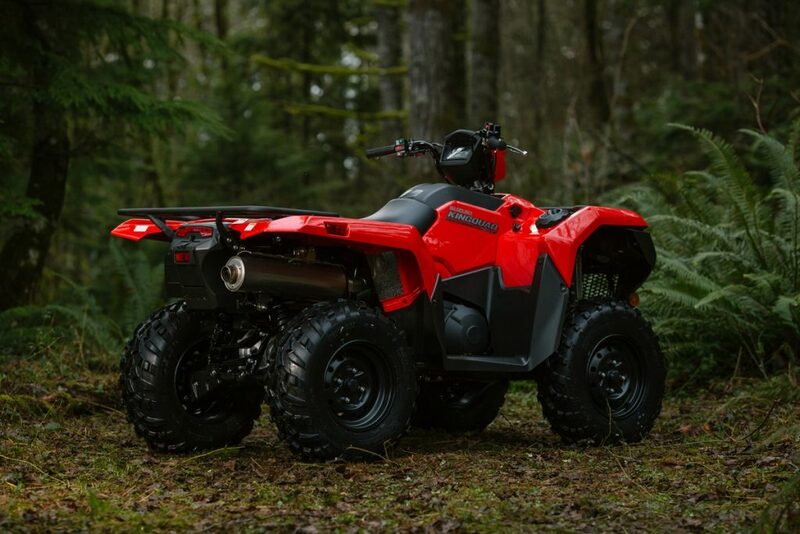 settings) are part of the new, distinctive KingQuad bodywork. – Winch-ready mounts and wire conduit make winch installation simple. differential-locked 4WD. LED cautions for fuel injection and engine temperature. sealed 12V accessory outlet is standard. – The large 4.6 gallon (17.5 L) fuel tank is positioned for a low center of gravity. prevents overtightening so it can be easily unscrewed for refilling). includes an easy access screw-on cap. – Full floorboards with integrated raised footpegs provide protection. aluminum skid pans, rack extensions, utility box and more.